This is how Louisiana Army National Guardsman Col. Kenneth Donnelly described the character of the Soldiers, Airmen and Marines he commanded at the Task Force Bon Voizen –New Horizons Haiti 2011 closing ceremony, June 22, in Port-au-Prince, Haiti. On April 28, Task Force Bon Voizen, or Good Neighbor, was launched by National Guardsmen, troops from the Army, Air Force, Marine Corps and members of the Belize Defence Force, Canadian Forces and Colombian Army in support of the humanitarian relief mission to the people of the Artibonite region in Haiti. Like last year’s Louisiana Guard-led Task Force Kout Men, or Helping Hands, Task Force Bon Voizen was the operational arm of New Horizons Haiti 2011, a U.S. Southern Command directed, U.S. Army South conducted engineer and medical readiness training exercise. In the village of Upper Poteau, U.S. and Belizean task force engineers developed a community resource site that consisted of a three-room adult vocational school, four-room medical clinic, three-stall latrine and soccer field. A covered outdoor kitchen designed to accommodate the preferred cooking methods of local citizens was also built. Concurrently, another group of U.S. and Belizean engineers built a four-room women’s clinic in an existing community resource site in the village of Bardon Marchan, where a school and water well already existed. 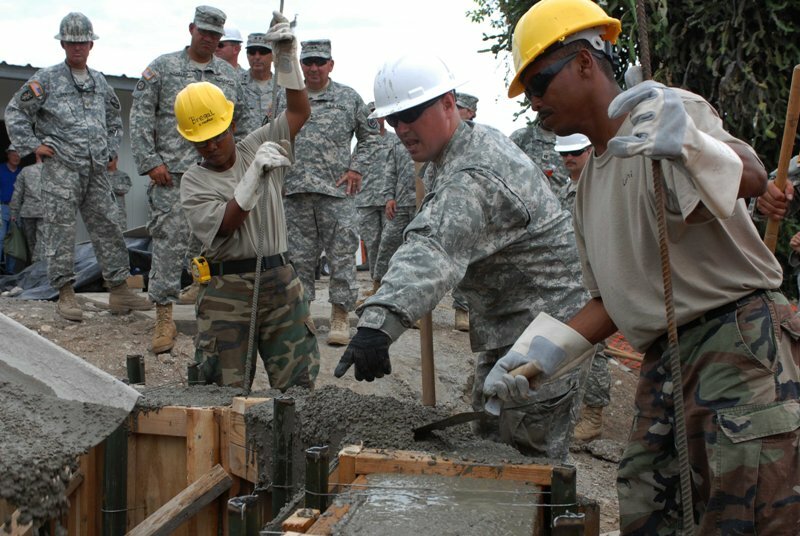 Both construction projects were coordinated and supervised from beginning to end by a team of Louisiana Army National Guard engineers from the 225th Engineer Brigade, although each incoming rotation of engineer troops from the National Guard, Army Reserve and Belize Defence Force had its own unit leadership structure. A concurrent medical exercise staffed by practitioners from the Army and Air Force Reserve, and Colombian Army was operated at the same time as the engineer projects. This medical/dental/veterinary mission provided free evaluation and treatment to all citizens who sought the services. The exercise was divided into four 10-day operations in four distinct communities in the Artibonite region. 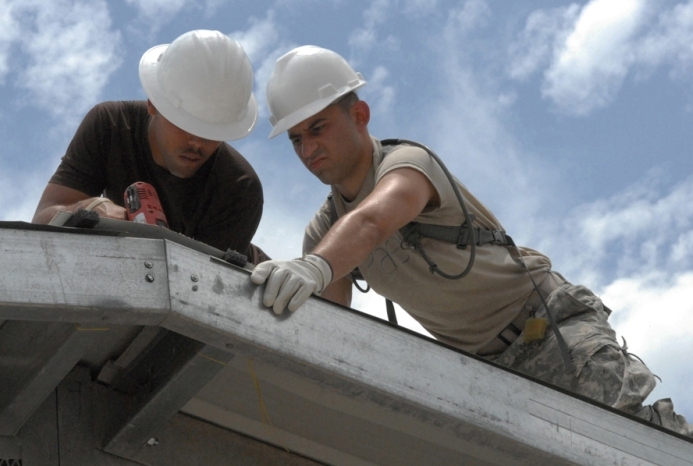 According to the TF Bon Voizen medical exercise coordinator, Louisiana Guardsman Capt. 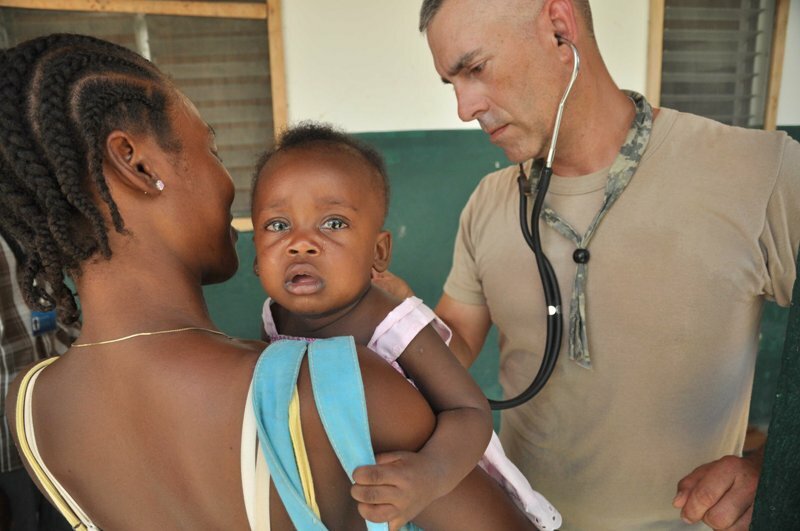 David Bourgeois, the purpose of the mission was to provide real-time, real-world training to joint-forces medical personnel, while concurrently providing humanitarian medical services to the citizens upon a request by the government of Haiti. All four medical readiness training operations were planned, supplied and coordinated by members of the Louisiana National Guard command staff, although each participating medical unit had its own internal command structure. 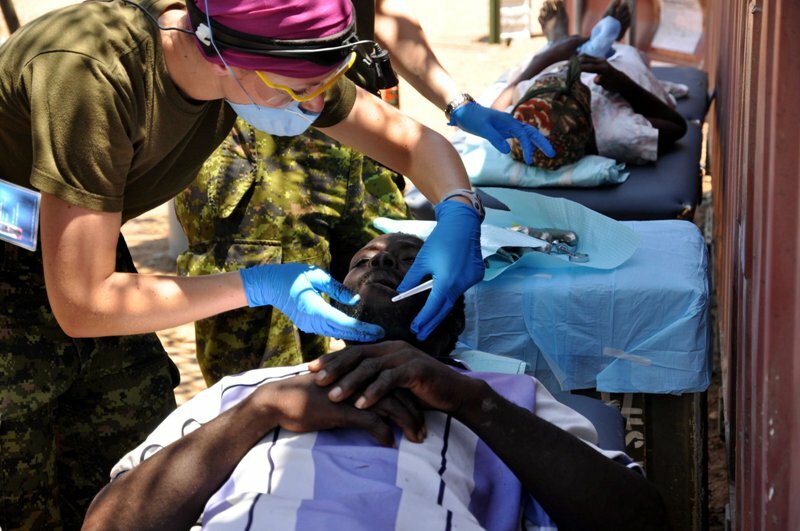 Overall, the medical, dental and veterinary practitioners treated and evaluated 32,423 patients and 2,127 animals during the 40 days of the medical readiness training exercise. 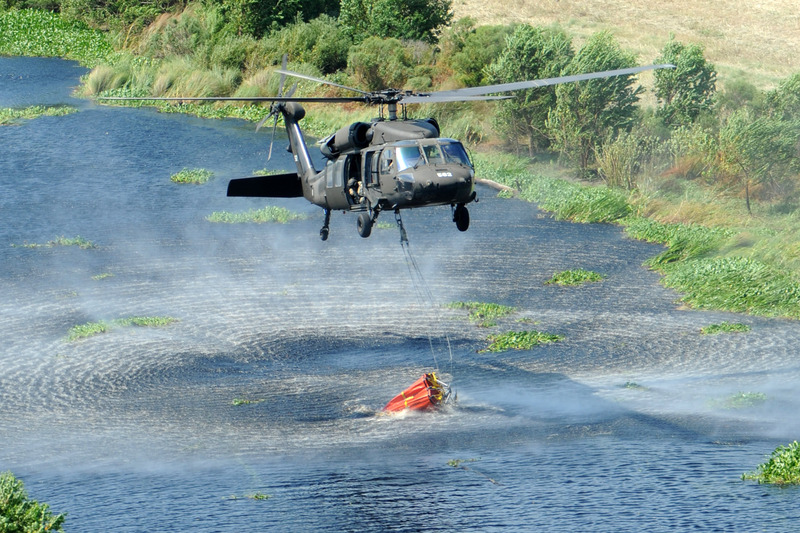 Roughly 2,300 service members provided support for the engineer and medical readiness training exercises, including approximately 160 duration staff, the majority of whom were members of the Louisiana National Guard command element. A temporary facility constructed roughly 70 miles north/northeast of Port-Au-Prince called Forward Operating Base Mandrin and the Reception, Station, Orientation, and Integration facility in Port Au Prince house, feed and equipped more than 500 troops during each 15-day mission rotation. In addition to the work, sleep and dining areas, FOB Mandrin’s footprint included a fully-capable maintenance facility and motor pool, a Reverse Osmosis Water Purification Unit, recreational facilities and a four-pad heliport for the National Guard UH-60 Black Hawks and UH-72 Lakotas that provided casualty evacuation and logistical support to the overall mission. 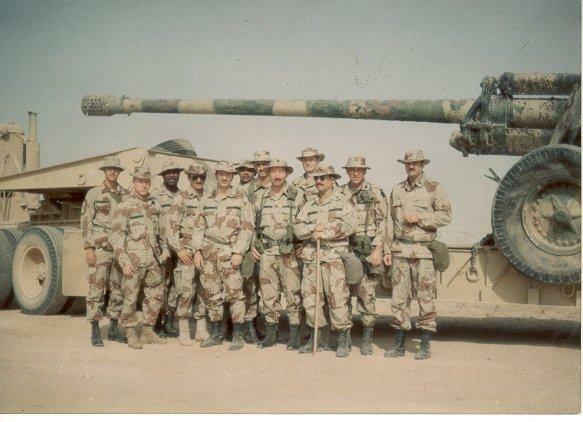 Upon completion of the mission, FOB Mandrin and the RSOI facility were completely dismantled and its land restored, with environmental improvements, to the property owner. The Louisiana National Guard’s investment in Haiti didn’t end with the closing of TF Bon Voizen last month. 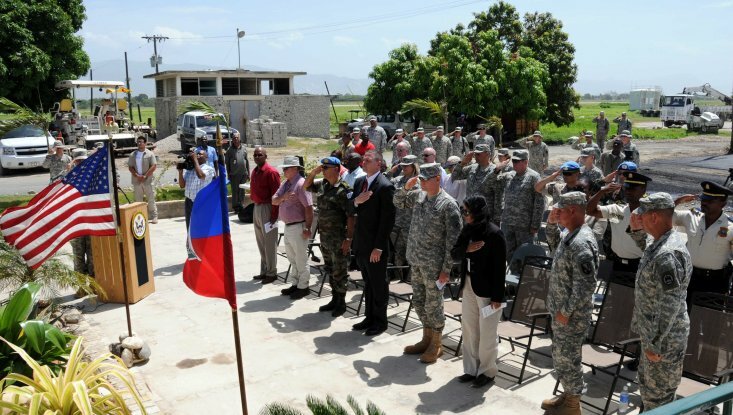 Haiti is now linked to the Louisiana National Guard as a participating nation in the State Partnership Program, a program that links the National Guard of many states to partner countries with a goal of increasing mutual understanding and trust.